Yolanda Pérez offers private coaching on protocol, image and elegance. She will advise you, guide you and accompany you in the process. You will know the most valuable tools so that you excel in elegance and forms. You will improve your posture, your way of walking and you will manage to express with elegance and distinction at the table, in cocktails and in your day to day. Everything counts: the bag you carry and how you wear it, your dress and hairstyle, how you get out of the car, how you open a door and enter a room, how you walk and sit, the conversation you establish and even how you grab your cup of tea or coffee. 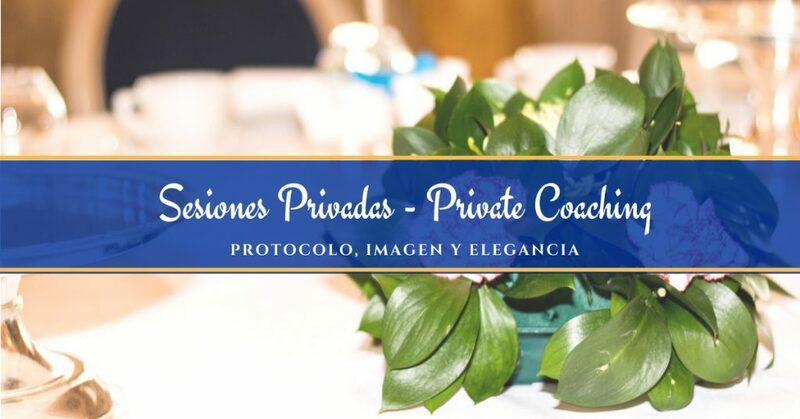 If you usually go to events or simply want to project a neat and refined image, write directly to Yolanda Pérez, Managing Director of Casa de Protocolo (yolanda@casadeprotocolo.com) and schedule your VIP session privately the day you want and in the place where you are.